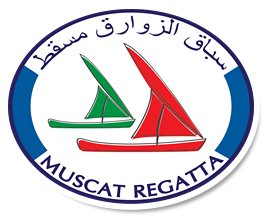 Marina Bandar Al-Rowdha in association with both the Oman Ministry of Sports Affairs and Ministry of Tourism are pleased to announce the 2011 Muscat Regatta. All races will take place during November. Dates for Dinghy racing at Marina Bandar Al-Rowdha and the 230 nautical mile offshore Chairman’s Cup Race from Muscat to Khasab are to follow shortly. Title sponsorship for the Chairman’s Cup Race has been generously provided by the Bank of Beirut. Substantial cash prizes will be awarded again this year. The Muscat to Khasab Race will start as soon as the completion of the Dubai to Muscat race, organised by the Dubai Offshore Sailing Club. GWM Racing Ltd has again been appointed as regatta and race management consultants. A full list of event sponsors will appear on this page nearer to the date of the event. Bank of Beirut have kindly donated prize money for this years event.